In first place would like to make sure that everyone reading further down does understands what it is about. Yes I breed rabbits for meat. And yes their meat is delicious as well as nutritious. And yes off course there is a difference between pet rabbit and meat rabbit similar to gold fish and salmon,or parrot and chicken whichever you prefer better. Several different breeds of Rabbits have been developed for meat production, with the New Zealand White and the Californian being the most commonly produced, because of their fine meat.You still can keep them as pets if you like ,but the main reason they been breed for is food. If by any chance you feel you don`t like the idea please don`t continue reading and don`t feel offended as it is your personal choice as well as others. * Rabbit meat is all white meat. * Rabbit has 795 calories per pound. Compare: chicken at 810, veal at 840, turkey at 1190, lamb at 1420, beef at 1440 and pork at 2050. * Rabbit has the highest percentage of protein. * Rabbit has a lower percentage of fat than chicken, turkey, beef, or pork with unsaturated fatty acids at 63% of the total fatty acids. 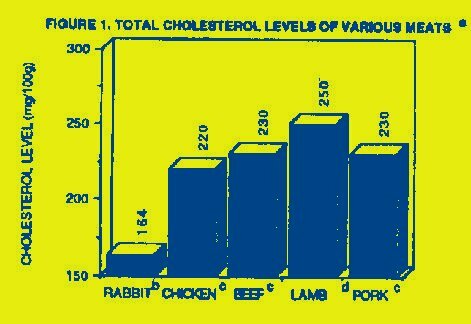 * The cholesterol level in rabbit meat is much lower than chicken, turkey, beef, pork. * The U.S. Department of Agriculture has stated that domestic rabbit meat is the most nutritious meat known to man. * Research shows that rabbit meat has been recommended for special diets such as for heart disease patients, diets for the elderly, low sodium diets, and weight reduction diets. * Because it is easily digested, it has been recommended by doctors for patients who have trouble eating other meats. 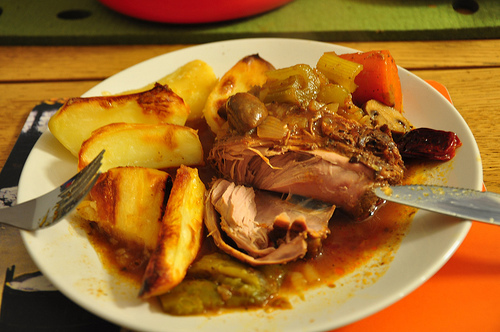 * Rabbit meat compares very favorably to veal.